Home/LSE Innovators/Meena Kotecha: don’t forget your smiles! Meena Mehta Kotecha radiates positivity. 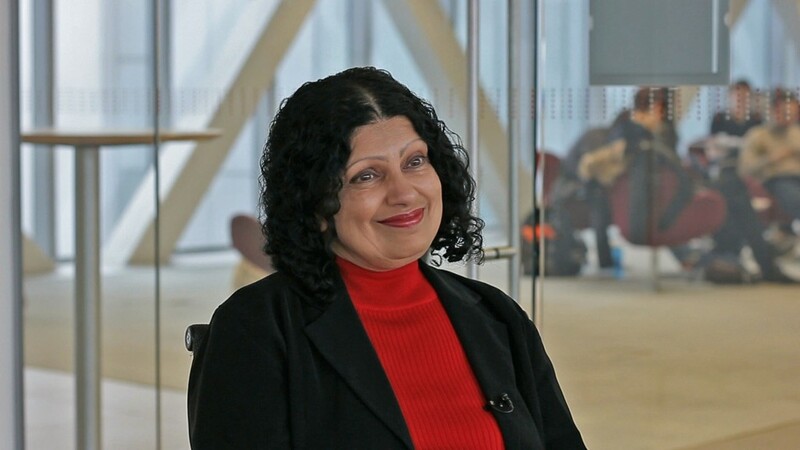 Meena has been teaching mathematics MA 107, statistics MA 107/ST 102 and mathematical programming MG211.2 at LSE since October 2006 and currently teaches in the department of Statistics. “View your failures positively”, she identifies as one of her main character traits. “It’s the same advice I give to my students.” It is not surprising that she admits being a great fan of Wayne Dyer, whose books deal with escaping negative thinking. Her interest in the psychological well-being of her students led her to using social media and her use of it is exemplary (this year she has been named one of the 50 ‘most influential social-media-using academics’ in the UK). Meena uses facebook to engage students beyond the classroom, to share links to interesting stories, to upload her teaching materials, to field and answer queries (or encourage students to answer each other’s queries!). Of course, all this could easily be done in LSE Moodle, so why does she choose facebook instead? Meena’s main concern, again, is to foster friendly and relaxed relationships; putting her students at ease takes precedence. Students don’t need to be her friend, she tells them, they don’t have to share their personal details, but she gets friend requests from them anyway, she says with a happy smile, clearly pleased. Facebook does have the advantage of already being a place that students like to be in. Moodle’s current advantage over facebook is that it isn’t facebook, but we are still some way off to having made it a place to which students are permanently (and voluntarily) connected. Although her success in fostering such engagement lies with her being able to transpose her personable self onto a social media platform, Meena’s favourite educational technology is PowerPoint. If this sounds like a surprising choice, her explanation remains in character: PowerPoint means she can continue to face her students while showing notations, thus maintaining eye contact – and not undermining her carefully built up rapport. Her groups host discussion on practical applications of mathematical and statistical concepts/theories. Any of her students can set up a group, and this becomes an extension of the teaching room for students to interact in. She uses twitter (@lseMeena61) to keep up to date with research and what is happening at the LSE, and to maintain her friendly, inviting rapport with her students, former, current and potential future ones.